This post is a biggie. It will take us deep into the world of books and independent bookshops. It will also take us to the very edge of the solar system. 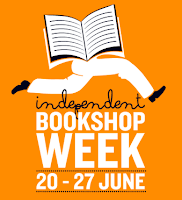 In recent years this heady mix has also included Independent Bookshop Week, a chance to celebrate the passion, expertise, quirkiness and general wonderfulness that is the world of independent bookshops. In recent years we have taken advantage of the tremendous support of publishers and authors to put on events and set up promotions. This year has been no different. Bookshops have a love/hate relationship with events. Good events are some of the best experiences we have, and create real magic in the shop and around the community. But the sheer range of events that we put on - bookgroups, children's activities, author readings, signings, not to mention all the online activities - mean that it's tricky to get the balance right. Too few of the right events and customers won't come. Worse, if you do too many, you risk collapsing with exhaustion, or just distracting yourself from the basics - being a great bookshop. 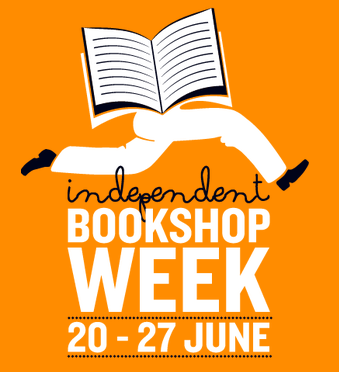 Given our enthusiasm for all things space at the moment we are going to share with you what we did during IBW2015, and share with you our theory of bookshop events. 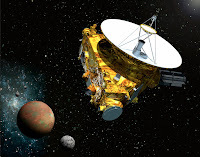 It's called 'the slingshot effect' and it has everything to do with a journey that reaches its climax next Tuesday, as a small, fragile satellite bristling with technology whizzes past the dwarf planet Pluto. First up for us was the annual Carnegie Shadowing event at Abingdon's Guildhall. 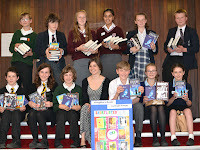 Six secondary schools, over 100 pupils, get together, are mixed up into different groups, and spend a day preparing and then 'pitching' short performances about each of the shortlisted books. We're extremely proud to be one of the sponsors of the event - and we also sit on the panel of judges, reviewing and awarding prizes to the best reviews. The amount of energy generated - and the sheer enthusiasm about reading and reviewing often challenging new books - is infectious and hugely enjoyable. As in previous years, some of the shortlisted titles generated a lot of controversy. But, as in previous year, the children involved proved themselves resilient, open-minded and mature in the way they considered the books. As one young reviewer said of 'Buffalo Soldier', the eventual winner, "It captures your heart in a stunning way by really highlighting the travesty of war. It lingers on how you can't wash away blood, no matter how hard you scrub". A big annual event with a halo of good stuff surrounding it. This event is a bit like Saturn. Then Independent Bookshop Week began in earnest. We had shop visits by school groups from three separate schools. We were able to talk to them and get them excited about books - as in previous years, some of the children had never visited a bookshop before. Even our customers got involved at one point, becoming ad hoc reviewers amongst the bubble of enthusiasm and new titles from newly-discovered authors. Chaotic. Intense. The readers of the future. And given that at least one of our year 10s chose 'The Martian' - Mars seems very appropriate. On the Thursday evening everyone was utterly charmed by Laura Barnett, author of one of the hottest debuts of the year 'The Versions of Us'. On a sultry Summer's evening in a packed courtyard garden, Laura described her writing journey and the themes of her book - which takes three characters on their own journey through three different versions of their lives. 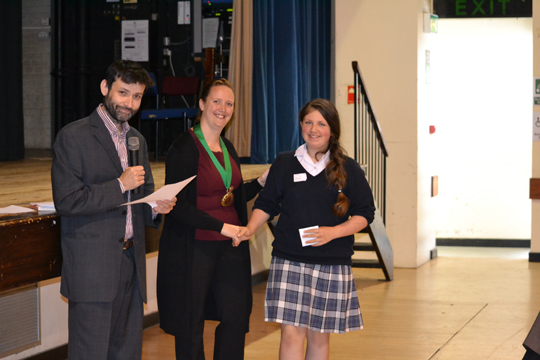 We love doing events with authors at the very start of the literary journey, and Laura is destined to go far. An evening star, with exquisite and beautiful prose, we have to compare her and the event to Venus! We had plenty of other things going on during IBW2015 - storytimes, promotions - and of course plenty of new titles to recommend to those people coming in to show support. 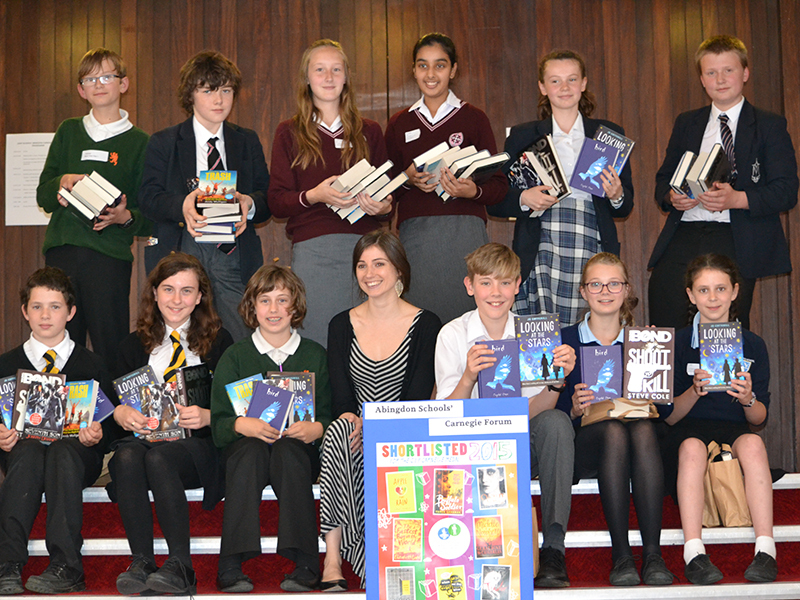 But on the final Saturday we had a very special event indeed to coincide with the meeting of our YA bookgroup. 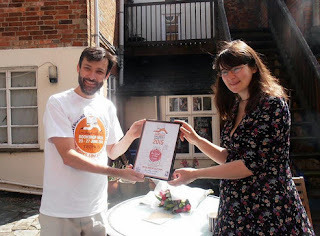 We had invited Sally Nicholls along to talk to the group - the challenged and delighted of writing for children, and her own journey as a writer - and we were utterly thrilled to learn that Sally's book 'An Island of Our Own' had won the IBW2015 Children's Book Award. So we were proud to present Sally with her award, welcome some important visitors to the shop, and listen to her talk to the group in the blistering sun of the courtyard garden. In terms of the temperature, and excitement, this was hot. Sally's fleetness of foot, and her delivery of some very good news means we have to choose Mercury. We told you to think about that tiny satellite. In order to get 'New Horizons' out to Pluto quickly, it had to be looped around at least five of the other planets, exactly as if you were using a slingshot and a tiny pebble. We believe the 'slingshot' approach to independent bookselling is a great one for scheduling events. Some events are big, some are small, all change your trajectory and endeavour to propel you faster towards your distant goal. And what is that goal? An excited community. A widening readership. Serendipity and discoverability. And the continued existence of a diverse bookselling world. In short - the very best of what independent bookshops can be. As you may know, Mostly Books is about to embark on a slightly new direction and the next stage of its journey. To everyone who supported - and continues to support - us, and all the other wonderful independent bookshops out there, thank you!